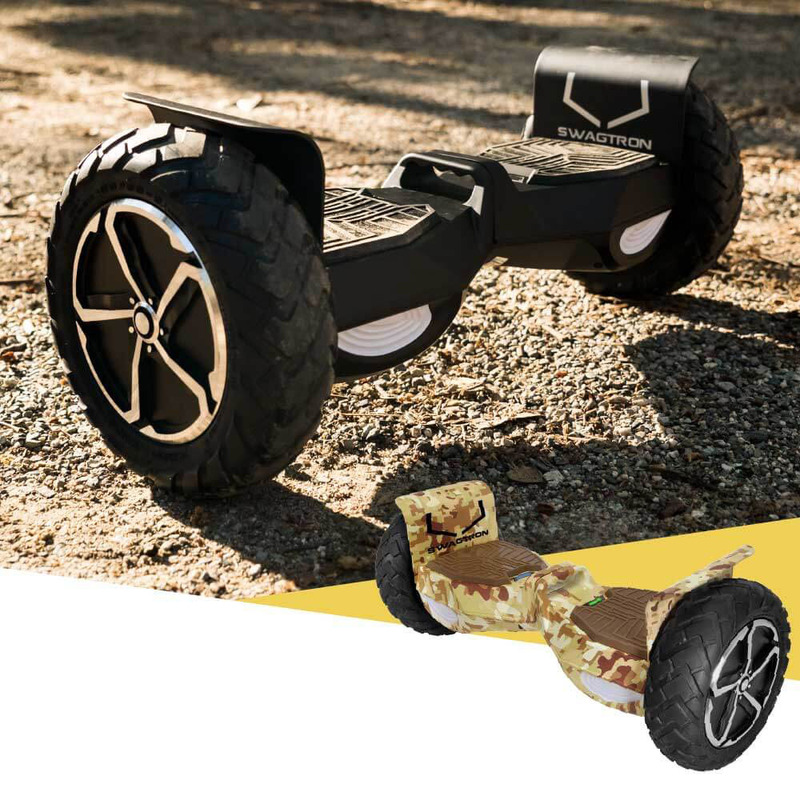 The Swagtron T6 is an exceedingly fast, stable and well-built model providing ride comfort thanks to the use of premium quality materials. Plus, the company has excellent customer support that has the back of buyers who are looking for a reliable daily driver type electric scooter. 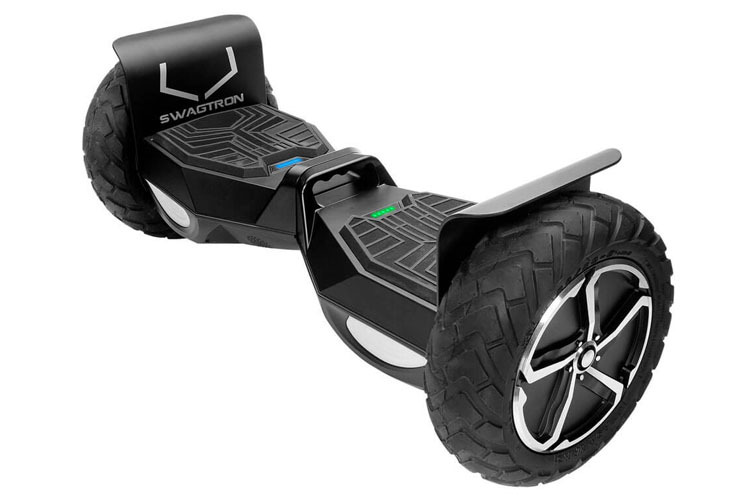 That said there is a lot more to the Swagtron T6 than meets the eye as we’ll see in this review. 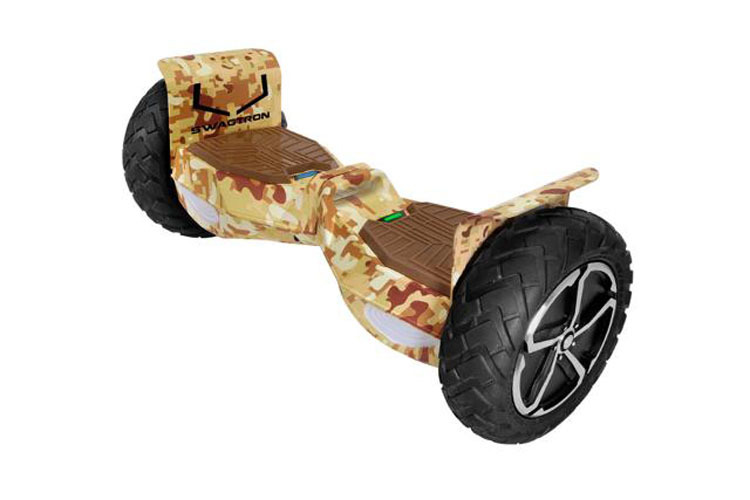 While the Swagtron T6, for the most part, comes with a standard set of features which are pretty uniform across all premium quality e-scooters, but there are a couple which helps differentiate it from the competition. 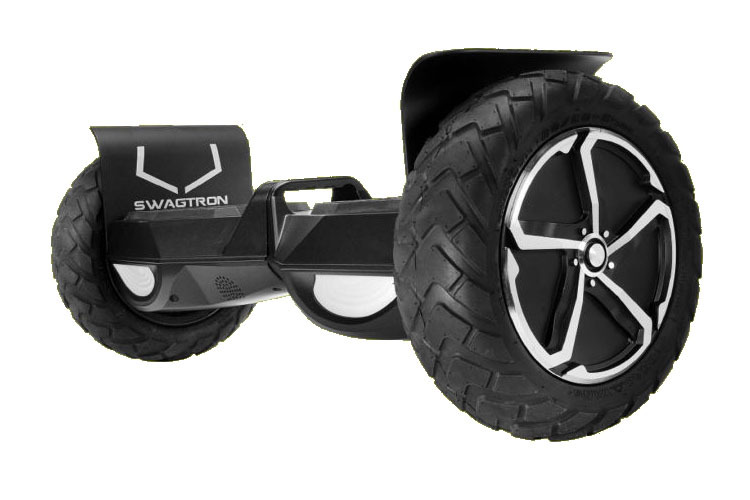 Large all terrain tires: The large 10-inch tires of the Swagtron T6, make it an off-roading beast. The tires are inflatable making it a lot more versatile and comfortable compared to the majority of the competition with solid tires. Its ability to absorb impacts, and deal with the worst terrain gives it a leg up over the competition. Excellent power: The Swagtron T6 is driven by two 35Watt motors which deliver power on demand. While compared to prior models its top speed hasn’t changed but this time around you get a lot more power when going up steep climbs or getting over tough terrain. Good top speed: The Swagtron T6 isn’t the fastest e-scooter, but it is right up there with its 12MPH speed and a range of 12 miles per charge. Obviously, it also depends on how you handle the scooter, pushing it hard will significantly reduce its battery time. Battery protection: We like the fact that the Swagtron T6 has added serious battery protection with the SentryShield. That means this time around the battery is safely shielded away. Impressive weight bearing ability: The Swagtron T6 can easily accommodate anyone up to 420lbs, which is pretty impressive for a scooter of its size. That’s a lot more than most of its rivals. Also, onboard are new LED lights that provide better safety with a throw length of 6.5 feet in either direction. Bluetooth Speakers: Listening to music when the Swagtron T6 is made possible with some good quality Bluetooth speakers. These speakers sound good, as a matter of fact, they are much better than before. Control app: The accompanying app made managing the Swagtron T6 a breeze. The app can be easily downloaded to your smartphone which then turns into a trip computer. If anything it makes the experience very enjoyable. We were pleasantly surprised by the fact that Swagtron takes their customer support very seriously. We contacted customer support with a fictitious problem and received a response a few minutes later. Most people may initially not think twice about customer support but when you run into trouble with the scooter the only people who can help you work at support. So, great support equals a product that the company feels confident that people will love. To round things off the 1-year limited warranty is more than any of its competitors are offering at the moment. The Swagtron T6 is a solid piece of engineering, and we’d highly recommend it to anyone looking for a premium quality e-scooter with all the bells and whistles they would ever need. That said that premium look, feel and performance does come with a premium price tag. But that’s something most people should expect, especially from an e-scooter that feels expensive from the time you step on to it. Unlike other scooters, we’ve tested the T6 and can confirm that it can handle all types of terrain making it the best transport option for anyone. Rough roads, pebbles, and steep climbs are all challenges that the T6 easily overcomes with relative ease making it a worthy purchase. 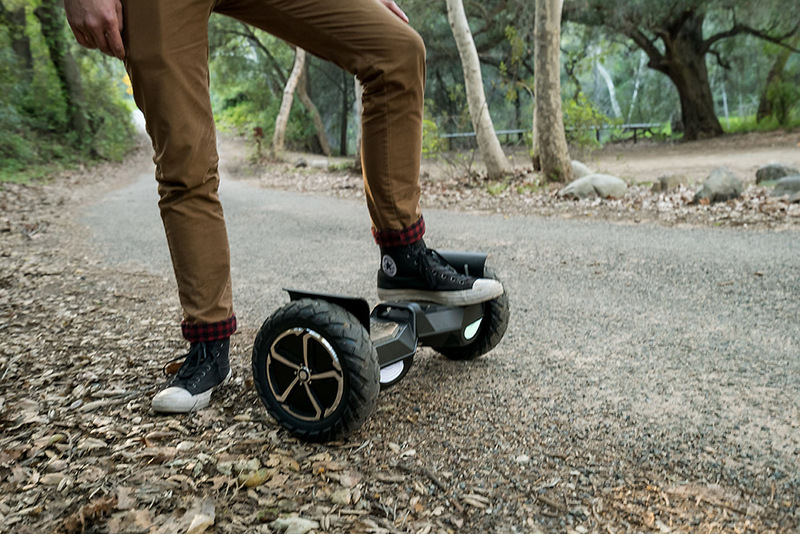 ROCK WHILE YOU RIDE -The self-balancing hover scooter uses Bluetooth® to play music directly from your phone. 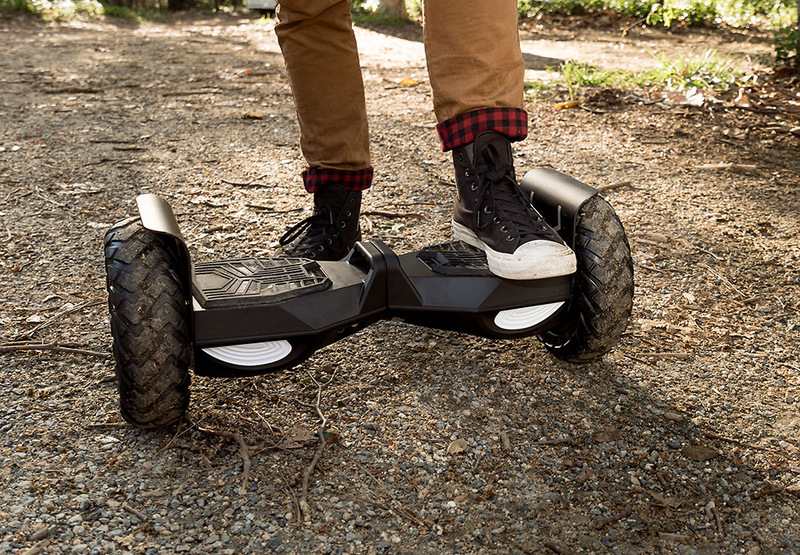 Click here to find out more about the latest hoverboards and best deals.